Cleveland Park is a residential neighborhood in the Northwest quadrant of Washington, D.C. It is highly regarded due to its proximity to public transportation, quality of schooling, and variety of family-oriented homes. It also contains two big commercial corridors along Connecticut Avenue, NW, and Wisconsin Avenue. It has a reputation based on its numerous amounts of 19th century houses and the historic Art Deco Uptown Theater. Other important places, such as the William L. Slayton House (one of the first mall strips since 1930) and the Park and Shop, reside there. 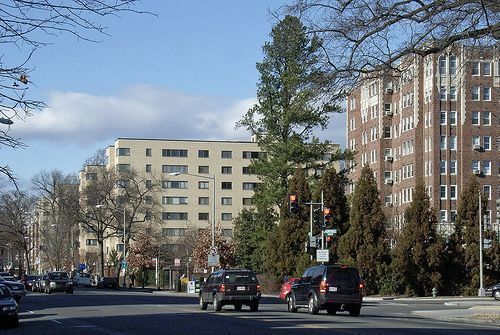 Cleveland Park is located at 38°56′11″N 77°3′58″W and bounded approximately by Rock Creek Park to the east,Wisconsin and Idaho Avenues to the west, Klingle and Woodley Roads to the south, and Rodman and Tilden Streets to the north. 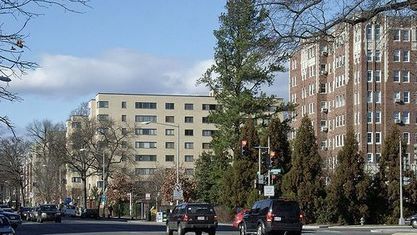 Its main commercial corridor lies along Connecticut Avenue, NW, where the eponymous Cleveland Park station of the Washington Metro‘s Red Line can be found; another commercial corridor lies along Wisconsin Avenue. Home to the first American settler – General Uriah Forrest, Youth For Understanding - an international student exchange organization, Gardiner Greene Hubbard - first president of the National Geographic Society, and many other recognizable titles, Cleveland Park has been a place that boasts a very strong and credulous history. Today, it is even home of the diplomatic mission of the Republic of China on Taiwan; and Tregaron, present-day home of the Washington International School (a Georgian house built in 1912). The neighborhood acquired its name after 1886, when President Grover Cleveland purchased a stone farmhouse directly opposite Rosedale and remodeled it into a Queen Anne style summer estate called Oak View or Oak Hill (by other accounts, Red Top). Initially, it was a place reputed for summer housing. However, after extensions of the Georgetown and Tennallytown electric streetcar line along Wisconsin Avenue, and introduction of the Rock Creek Railway, (built on Connecticut Avenue in 1892), the success of the neighborhood boomed. It soon became a streetcar suburbwhich hosted an eclectic mix of popular architectural styles, such as the Queen Anne style and Georgian Revival, later switching to simpler styles. Also, Yenching Palace (now a Walgreens), was a historic restaurant where American and Soviet negotiators met in 1962 to find a resolution to the Cuban Missile Crisis. Punctuating events like the bankruptcy of the Cleveland Park Company in 1905:9 and the Great Depression in the 1930 resulted in the sight today of various sizes, natures, and styles seen next to one another. Still, development continued and Cleveland Park resumed living up to its affluent upbringing. Get to know Cleveland Park better with our featured images and videos.